آشوری, مانی, حسینی, سید مهدی. (1393). Economic Load Dispatch with Multiple Fuel Options by Watercycle Algorithm. مجله علمی-پژوهشی رایانش نرم و فناوری اطلاعات, 3(2), 28-34. مانی آشوری; سید مهدی حسینی. "Economic Load Dispatch with Multiple Fuel Options by Watercycle Algorithm". مجله علمی-پژوهشی رایانش نرم و فناوری اطلاعات, 3, 2, 1393, 28-34. آشوری, مانی, حسینی, سید مهدی. (1393). 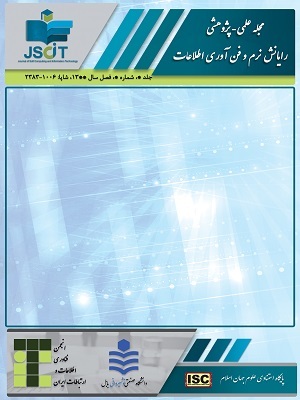 'Economic Load Dispatch with Multiple Fuel Options by Watercycle Algorithm', مجله علمی-پژوهشی رایانش نرم و فناوری اطلاعات, 3(2), pp. 28-34. آشوری, مانی, حسینی, سید مهدی. Economic Load Dispatch with Multiple Fuel Options by Watercycle Algorithm. مجله علمی-پژوهشی رایانش نرم و فناوری اطلاعات, 1393; 3(2): 28-34. This paper proposes the application of novel natural based algorithm called water cycle algorithm (WCA) on economic load dispatch (ELD) problem with multiple fuel types. In practical operation of power systems, the fuel cost function characteristics of generating units which are supplied with multiple fuel sources, have piecewise quadratic shapes which makes the problem of finding the global optimum more difficult when using any mathematical approaches. The proposed algorithm is based T is based on how the streams and rivers flow downhill toward the sea and change back and has been applied on a 10 unit system with multiple fuel options as two case studies, considering and neglecting valve point loading effect and also with various load demand values. This 10 unit system has also been duplicated to challenge the algorithm with large scale 30, 60 and 100 unit case studies. The results demonstrate the excellent convergence characteristics of the proposed method.